Lovely swan photos. Adult swans are white and children are not. 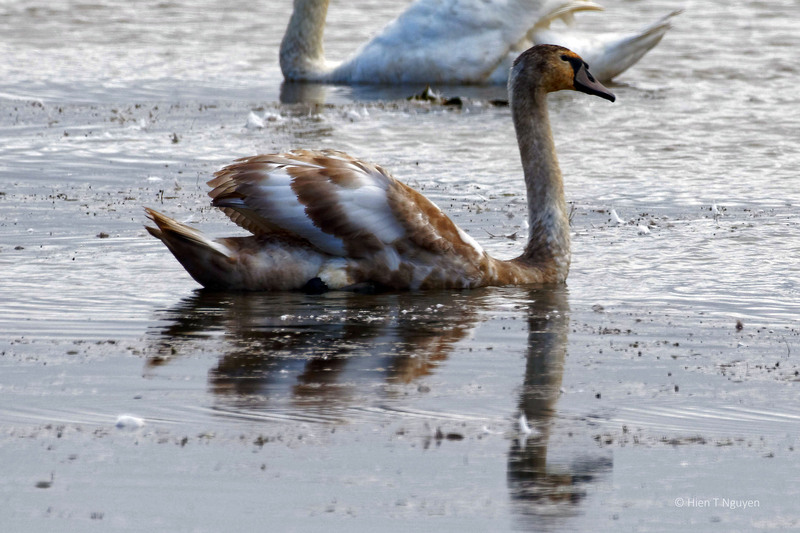 Swans have nearly left Finland – winter is near. Doda, that black foot was a surprise for me too. 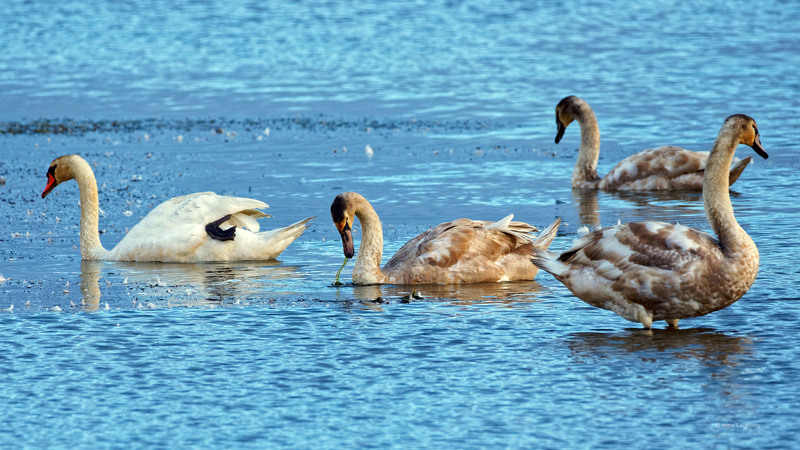 It seems swans do that quite often, to help in regulating their body temperature. Wonderful captures! I especially like the second with the reflection of the red bill. Sorry, make that the third. 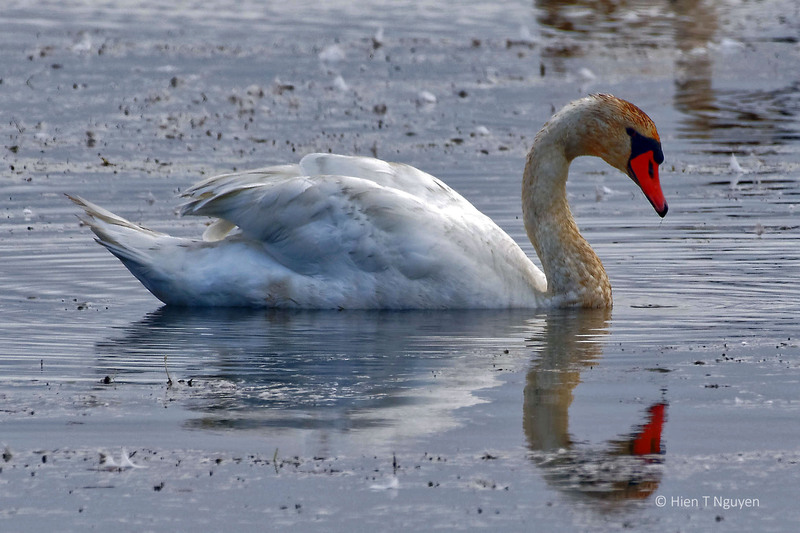 Beautiful images of the swans! You’re right, they shed a lot of feathers when they preen. They sure do! I was aghast when I first saw an entire portion of a pond covered with white feathers. Beautiful Swans. Is there any reason they are called “mute”? Katelon, they are not really mute. They are usually silent and not as chatty as some other birds, but they will make sounds when necessary. Gorgeous photos Hein. 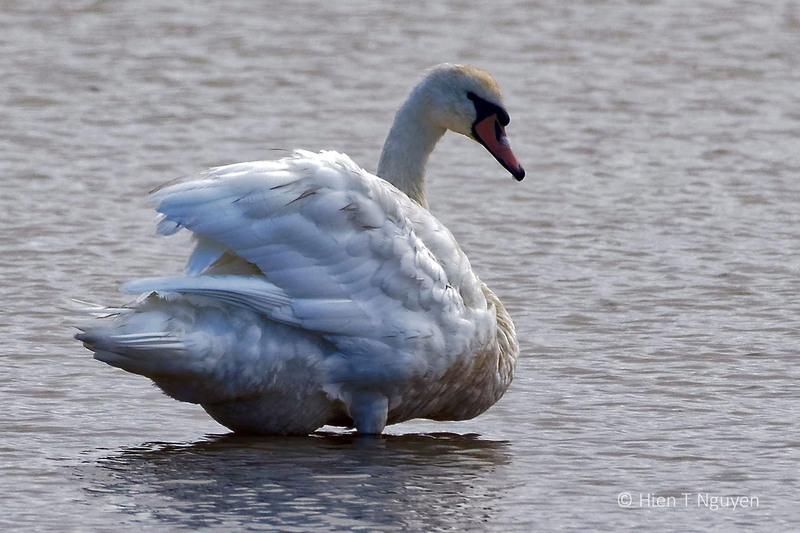 When we were in Ireland we saw swans preening as well. Do you know what they do it? Thanks Sue. 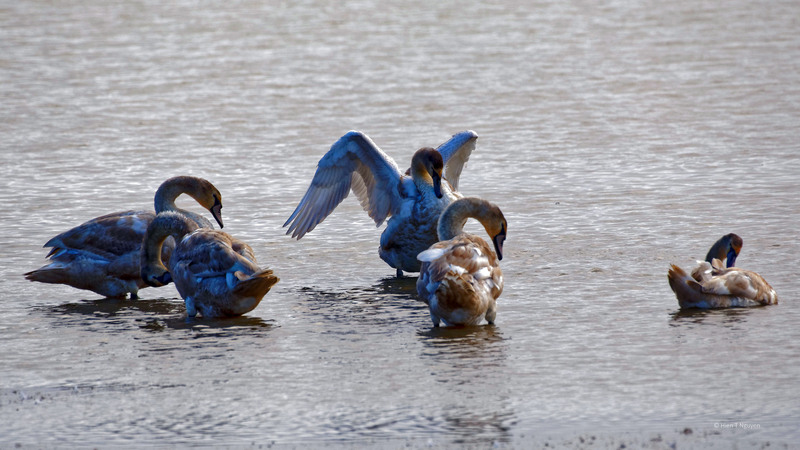 The swans preen to keep themselves clean, get rid of parasites, and to maintain smooth feathers. 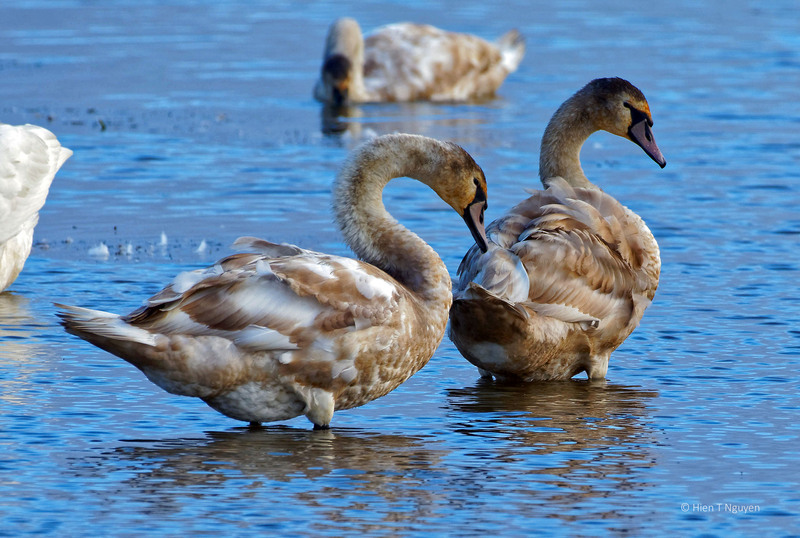 The juvenile swans may be bicolor, but then will be all white when mature.